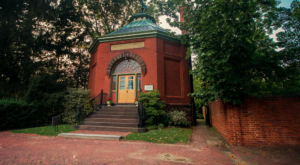 For the most part, Delawareans know about the state’s connection to World War II through the fire control towers (fire as in artillery fire) that dot the shoreline. These tall concrete sentinels stood watch for enemy ships and submarines along the East Coast, and still remain as reminders of the state’s service to WWII. But Delaware’s service to the war effort extended way beyond those 11 100-foot tall structures. 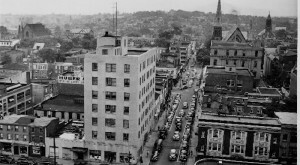 Here are images from Delaware Pubic Archives, showing scenes from around the state from 1939 to 1945. WWII saw an influx of women joining the workforce, both in civilian and military capacities. 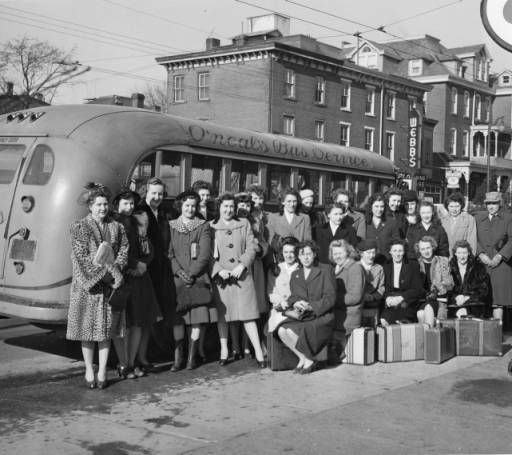 Shown here is a group of women on their way to join the Army Nurse Corp. 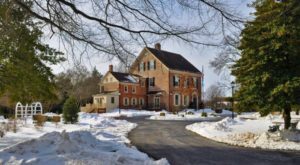 Dating back to the Civil War, Fort DuPont on the shores of the Delaware Bay near Delaware City, had a military presence. 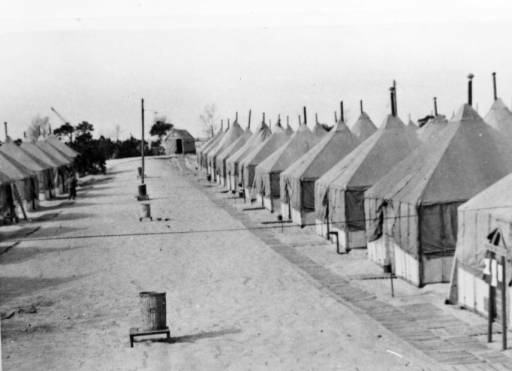 It served as both a mobilization readiness station and a prisoner of war camp during WWII. 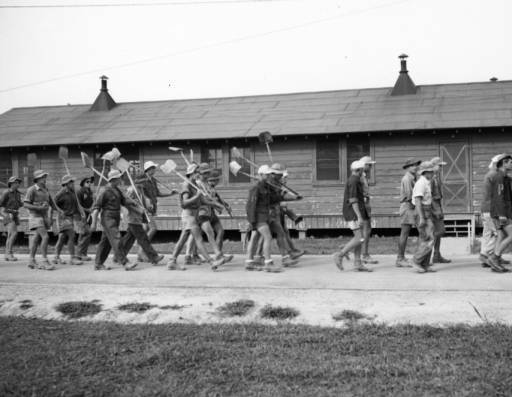 Approximately 3000 German soldiers and sailors captured during the war found themselves in Delaware, based at Fort DuPont. Everyone was expected to help in some way, shape or form. 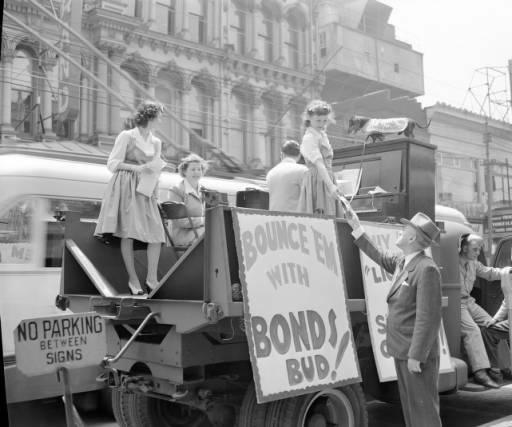 HEre, members of Wilmington's Drama League help sell bonds and stamps. Note the dachshund on the truck; this German dog breed was used in war time advertising. 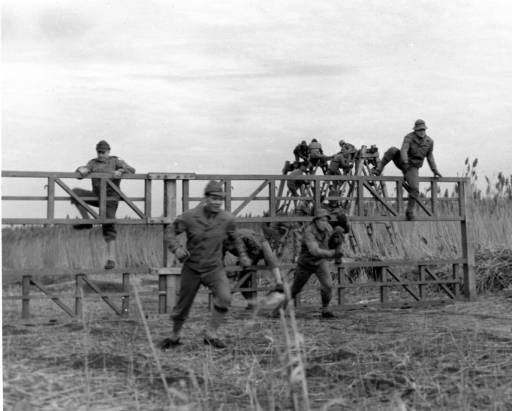 Days before the attack on Pearl Harbor, Fort Miles (at the site of present day Cape Henlopen State Park in Lewes) was completed. 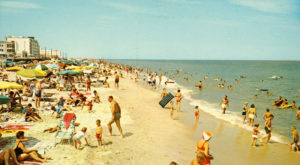 During WWII it functioned as a defense post for the Delaware Bay and the state's Atlantic coast. It housed over 2000 U.S. troops during its peak. 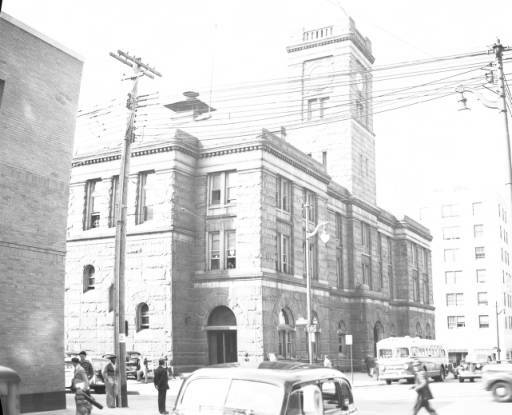 Even though the fort did not see any combat action, nor did it ever fire its guns in defense, it did receive the crew of a German U-boat which surrendered in May 1945. 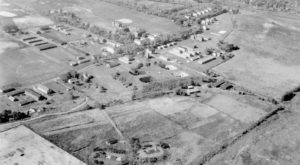 Weeks after the attack on Pearl Harbor, Dover's municipal airport was renamed Dover Army Air Field, even before it was officially opened. 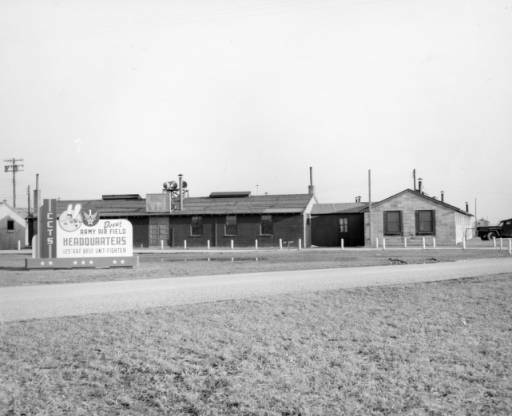 These humble beginnings set the stage for present day Dover Air Force Base. 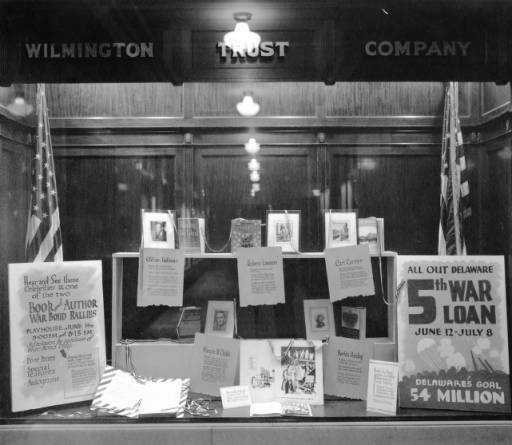 Wilmington Trust--dating to its establishment in 1903 in Wilmington, Delaware--erected this window display to encourage financial support for the war. At a time when technology was devoted to assisting the war, many women employed in military service served in offices. 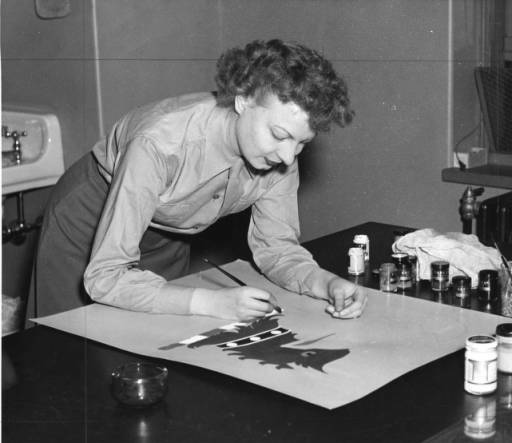 Shown here is a WAC (member of the Women's Army Corp) painting WWII insignia. In 1939, a German merchant ship hit the original span over the Chesapeake and Delaware Canal. 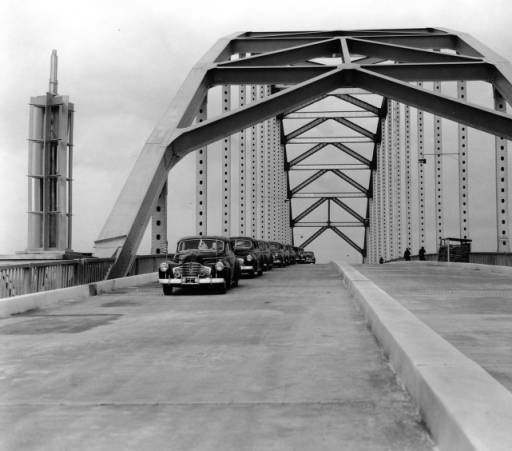 The replacement bridge was opened in 1942, and is shown here with the first vehicles crossing the newly opened span. 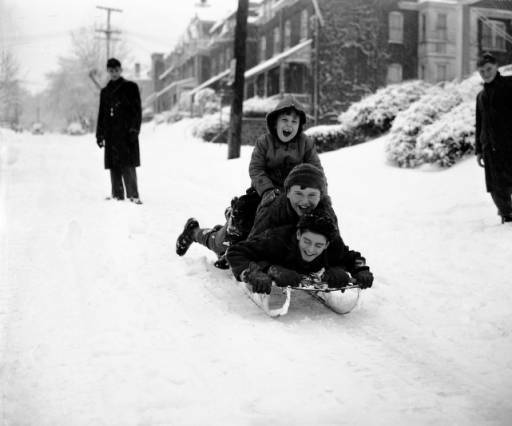 In the midst of all of the war efforts, fun was still to be had. Adults went dancing and kids spent time outdoors. 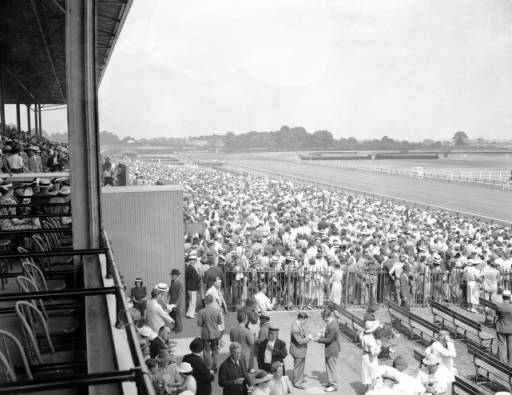 In June 1937, Delaware Park opened to the public, for horse races. The park still filled during WWII and was a popular pastime for those stateside. Scrap drives collected paper, metal, and clothing all to aid in military efforts. 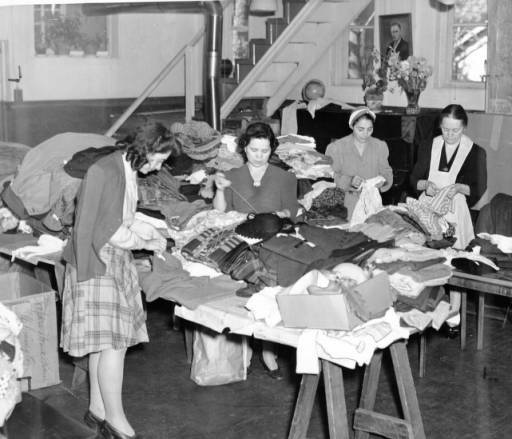 Old clothing was used to make rags to clean military weapons, and to ship overseas to Allied forces and areas that were occupied by Axis powers. 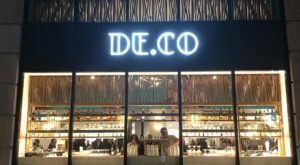 Life in Delaware still went on. Here's a typical street scene from Wilmington during the war. 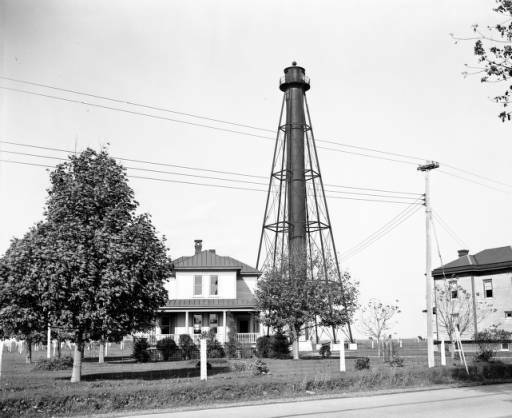 With Delaware's coastal geography, lighthouses were used up and down the state to aid in navigation for ships patrolling the bay. Parades were a common way to spread support for war loans. 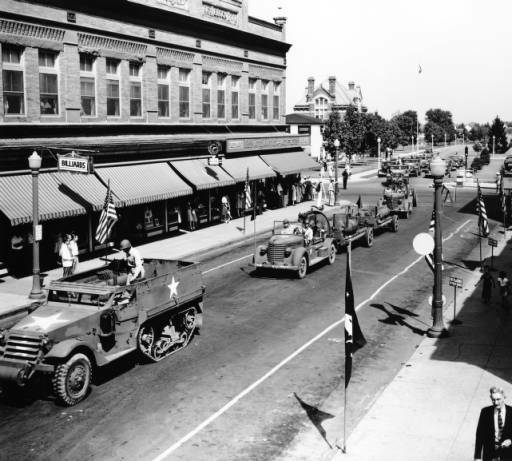 Shown here is a parade in Dover, featuring service members from Dover's Army Air Base, drumming up business for the third war loan drive. 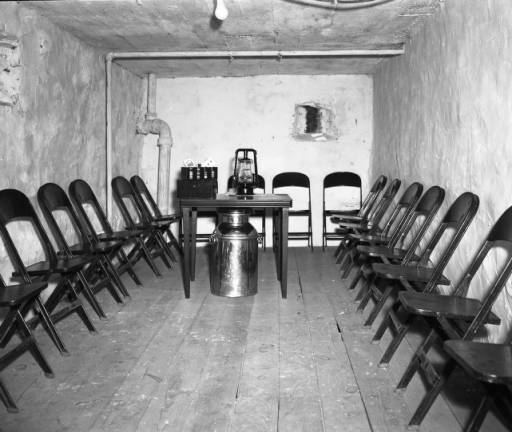 With global tensions still high many people constructed fallout shelters for protection should enemies strike the state. 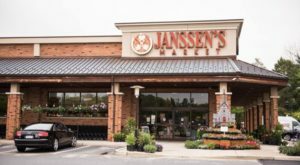 Do you have family who lived in Delaware during the war? Have you seen family photos of that time? 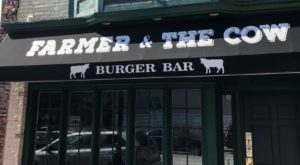 Tell us more on the Only in Delaware Facebook page!